Despite facing stiff competition from Vicky Kaushal starrer Uri and Anupam Kher starrer The Accidental Prime Minister, Simmba continues to create new records at the box office. 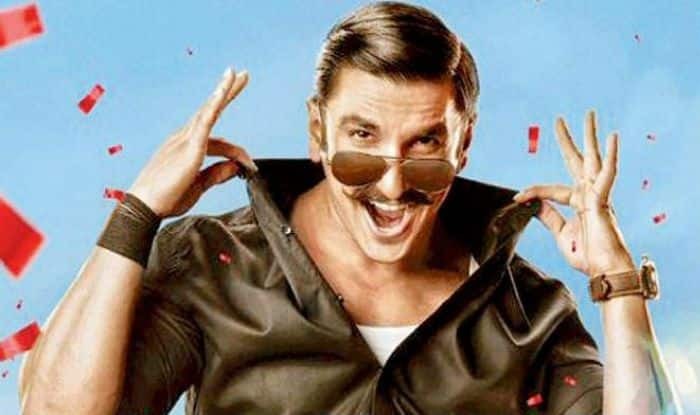 Proving its versatility even in the third week of its release, Rohit Shetty‘s Simmba, starring Ranveer Singh, Sara Ali Khan and Sonu Sood in pivotal roles, has minted Rs 231.31 crore in 20 days. Bankrolled by Karan Johar under the banner of Dharma Movies, the blockbuster is continuing its dream run at the box office even after breaking Rohit Shetty’s Chennai Express‘ record. Sharing the dominating figures on his Twitter handle, film critic and analyst Taran Adarsh tweeted, “#Simmba [Week 3] Fri 2.60 cr, Sat 4.51 cr, Sun 5.30 cr, Mon 2.87 cr, Tue 2.29 cr, Wed 1.31 cr. Total: ₹ 231.31 cr. India biz. BLOCKBUSTER” (sic). In another tweet, Adarsh mentioned the films that have done well at the box office in the last month, given their strong content hence, drew a multitude of crowd. His tweet read, “#Kedarnath, #KGF [Hindi], #Simmba and now #UriTheSurgicalStrike… Four successes in one month [7 Dec 2018 to 11 Jan 2019]… Moral of the story: The audience is willing to dig into pockets if the films are worth it… Content talks” (sic). Despite facing stiff competition from Vicky Kaushal starrer Uri and Anupam Kher starrer The Accidental Prime Minister, Simmba continues to create new records at the box office. Gearing up for his February 14 release Gully Boy, directed by Zoya Akhtar and co-starring Alia Bhatt and Kalki Koechlin, lead actor Ranveer has already moved on to start prepping for his next ’83 which is based on 1983 world cup victory of the Indian cricket team. Ranveer will be seen stepping into the shoes of former Indian cricket captain Kapil Dev in the upcoming film while at the same time he has been roped in for Karan Johar’s multi-starrer film Takht. With his kitty filled to the brim, Ranveer seems in top form acting wise, having already delivered two back-to-back hits, and looks pretty much ready to hit the bullseye once again.